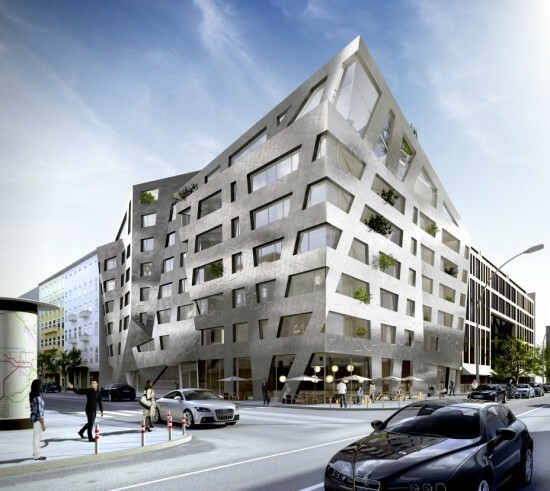 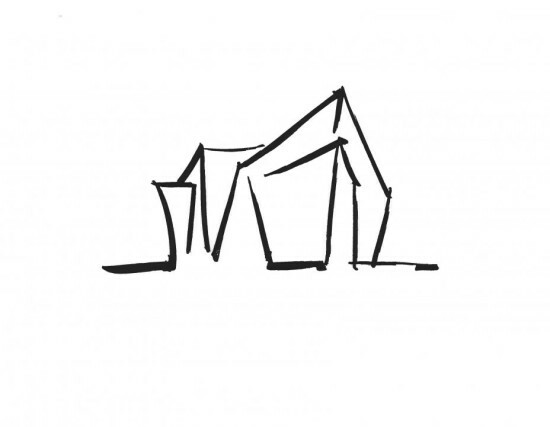 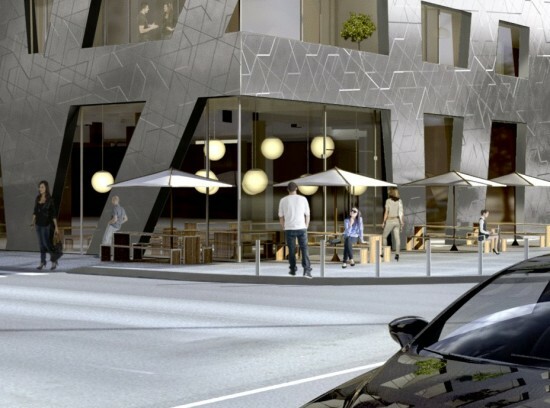 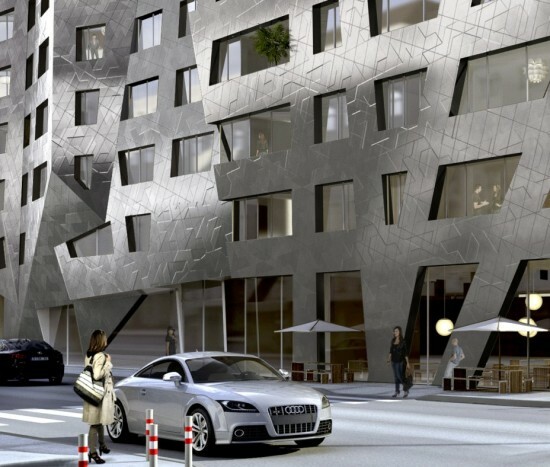 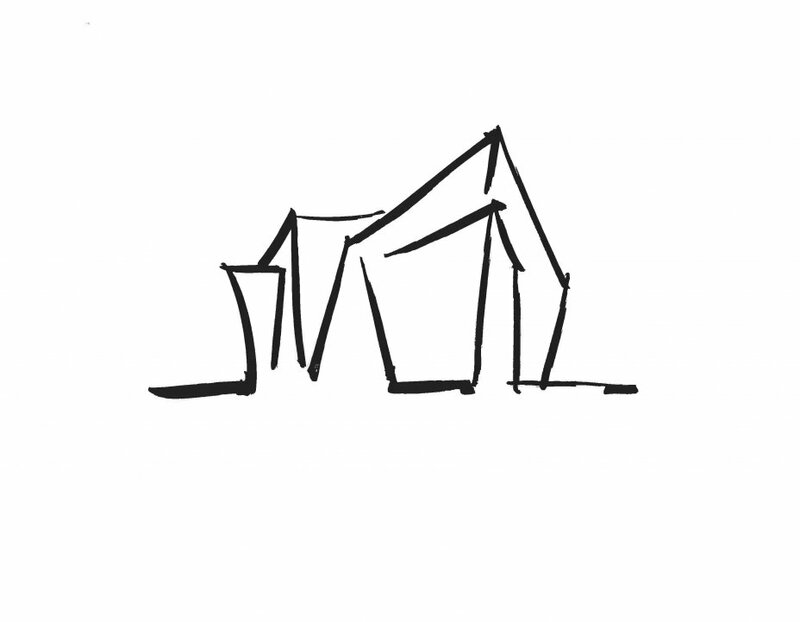 Daniel Libeskind has unveiled his plans for a new apartment complex in the emerging Berlin suburb of Chausseestrasse. Set for completion in 2015, the 8-story building called Chausseestrasse 43, will accommodate retail functions on street level and 73 individual apartments on the upper levels. The striking, metallic facade is said to contain sustainable properties which allow for self-cleaning and air purification of the building. 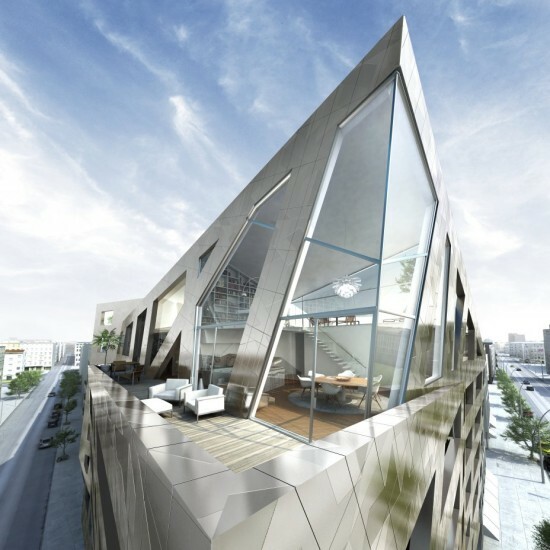 Libeskind’s design consists of asymmetric windows and a double-height penthouse to maximize natural light. 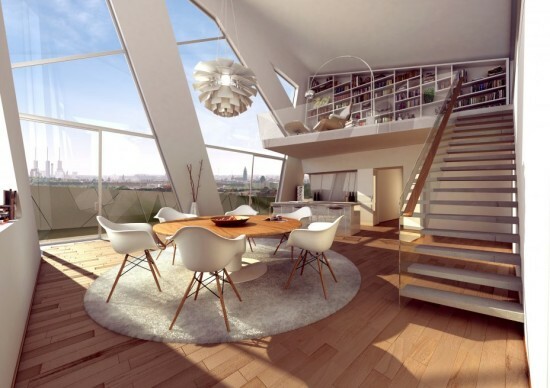 The penthouse suite also boasts a floating stairway that leads into an open-plan living area , and an outdoor patio with sweeping views of the Berlin skyline.